The Maurice Bishop International Airport is scheduled for another buzz of pre-Christmas activity as the Grenada Board of Tourism again leads the ‘meet and greet’ programme. During the period 18–24 December 2013, arriving passengers will receive a special welcome reflective of the spirit of Christmas. 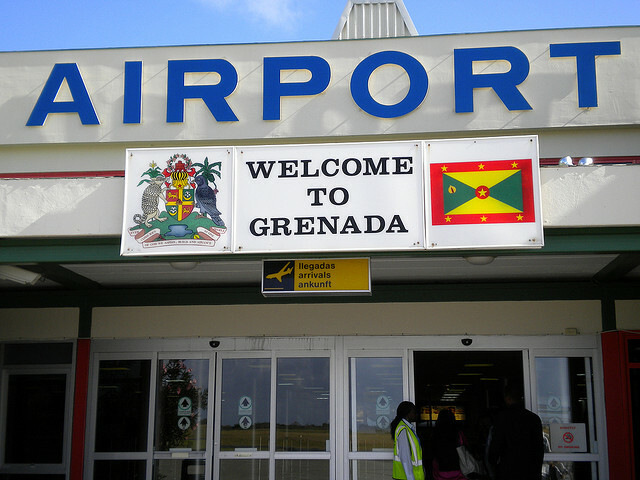 Considering that all load factors expected by the various airlines are excellent, the Grenada Board of Tourism is enthusiastic with its winter season arrival numbers and its continued sturdy partnership with the Grenada Airports Authority. This now customary demonstration of Grenadian hospitality during the days leading up to the holiday season constitutes a key element in the Board’s contribution towards the creation of the traditional Christmas practice of peace and goodwill. During the one-week period, the hospitality gesture will take the established format of greeting arriving passengers and offering them a range of locally produced snacks and drinks along with musical entertainment, all harmonizing with the season. Major private sector support is again being graciously provided by the Grenada Distillers, Grenada Breweries, Grenada Bottling Company, the Grenada Co-operative Bank, the Marketing and National Importing Board, Claboné Mineral Water, Helvellyn Tours, LIME, and the Grenada Airports Authority. The Grenada Board of Tourism is most grateful for this support, and embraces this opportunity to leave a positive impression on arriving passengers, as appreciation is demonstrated for their decision to visit Grenada.